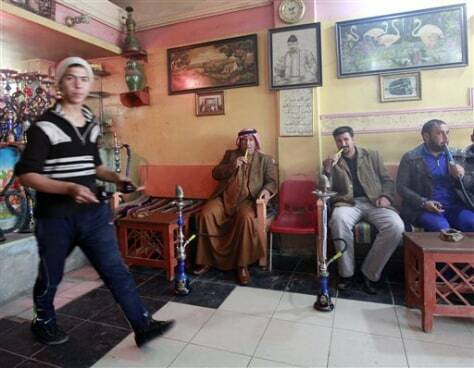 People gather at a coffee shop in Fallujah, 40 miles west of Baghdad, Iraq, on Dec. 30. Iraqis are again segregating themselves along sectarian lines, prompted by a political crisis pulling at the explosive Sunni-Shiite divide just weeks after the American withdrawal left Iraq to chart its own future. The numbers so far are small and not easy to track with precision, but anecdotal accounts and a rise in business at real estate agencies in Sunni neighborhoods reveal a Sunni community contemplating the worse-case scenario and acting before it's too late.